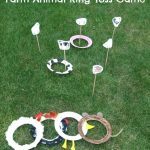 This animal movement game works on various animal sounds and actions. 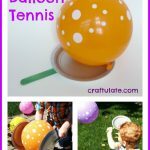 Don’t forget to grab the free printable! 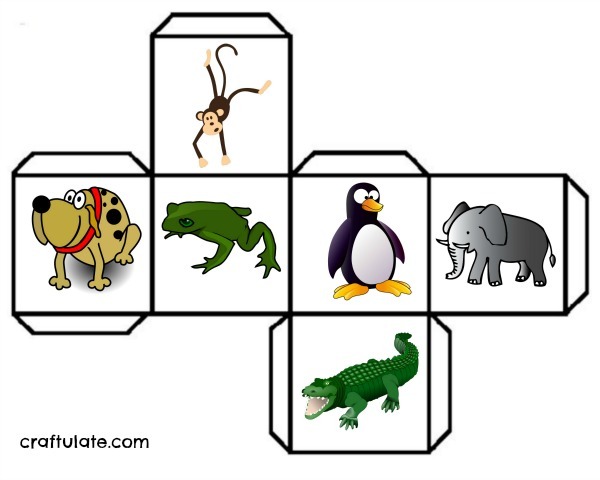 Using a cube template from whsdesign as a base, I added animal pictures to each face of the cube: crocodile, elephant, frog, penguin, dog and monkey. I chose these animals because they have distinctive movements associated with them. I printed the cube onto white cardstock, cut it out then glued it together. Monkey: Pretending to swing from trees, scratching, eating banana, lots of “oo-oo-ee-ee-aa-aa” sounds! Miss 4 absolutely loved it (after she got over the lack of zebra on the cube) and delighted in doing all the animal impersonations. 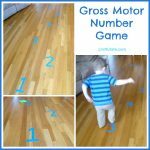 F and Mr 1 joined in when they felt like it! The next day F and I were stuck inside due to the rain. 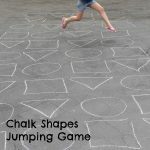 The game turned into a perfect rainy day activity! 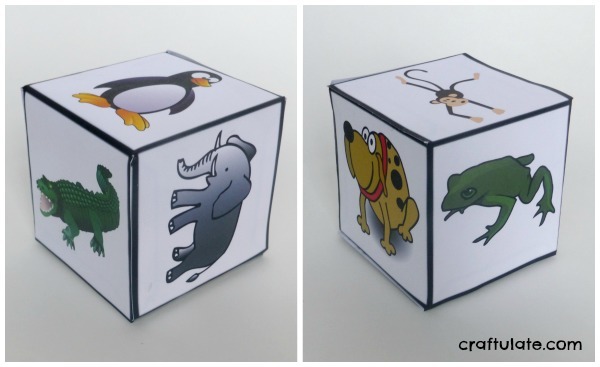 This animal movement cube would be a great idea for an animal themed birthday party! 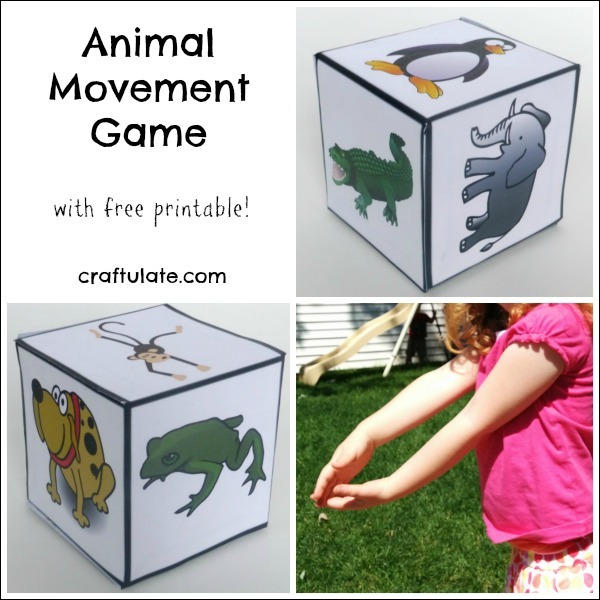 Download the FREE animal movement game template from the Craftulate Shop! 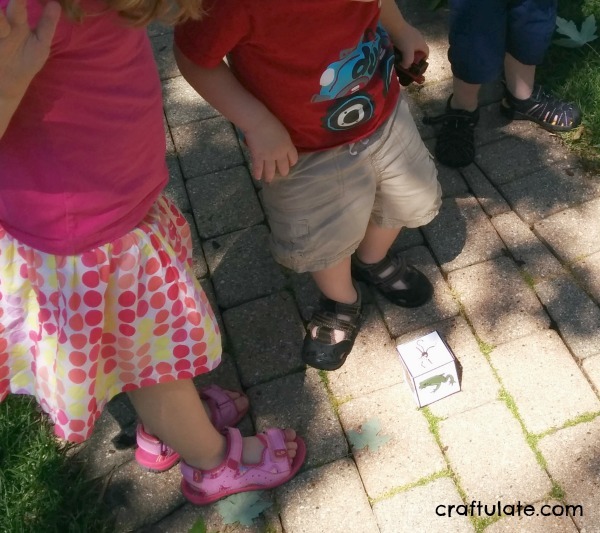 Thank you so much – I hope your son enjoys it! I absolutely love this! Would you be open to creating a version with an animal in place of a monkey? As an educator who works with underserved children, monkeys are sometimes associated with racist historical contexts. Do you have an alternative in mind?